The beginning of a new year often signals a fresh start, so it might not be surprising that a new survey has found a lot of Americans expect to be working somewhere else by the time 2018 rolls around. Jobs site CareerBuilder.com found 22% of people with jobs plan to find a new one during the next 12 months, a slight increase over last year. Younger workers in the survey were more likely to be planning a move. 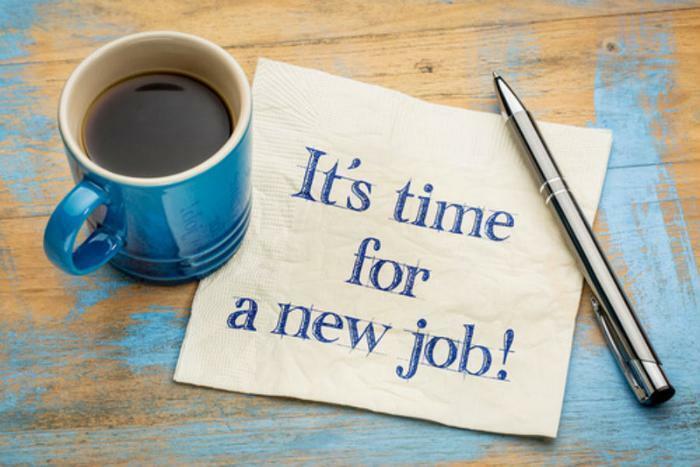 "Whether it's unemployed people trying to find their way back to the workforce or those who are currently employed attempting an upgrade to greener pastures, a new year makes many people set their sights on job hunting," said Rosemary Haefner, chief human resources officer for CareerBuilder. The takeaway for employers, says Haefner, is to stay in touch with the contentment level of key employees. She even suggests polling employees periodically to learn more about their goals and motivations and how they want to be treated. When asked about other goals for the coming year, 49% of employees said they want to save more of their money. Thirty-eight percent said they want to be less stressed and 20% plan to ask for a raise. As for what employees should be resolving for 2017, Haefner suggests growing your network. Expand the usual roster of groups and try to grow your professional network even wider. Brand-building is also big. Haefner suggests presenting a clear message of who you are and what attributes you bring to the table. Don't neglect social media. Follow companies you like and engage with them at every opportunity. Consider writing a blog showcasing your career interests and expertise and make sure there are no embarrassing photos from yesteryear floating around on the internet that could come back to haunt you. As for your chances of landing a new job in 2017, CareerBuilder says it will reveal some data on that later this week in its annual Jobs Forecast.